Hidden Gems of London Series: Brentford – The Battlefield of London. Cooking is a really important life skill to possess, for me there is nothing better then coming home after a long day at work and making something both delicious and healthy (for the most part). Being able to cook is not just a basic life skill but something that will also be a hit no matter whom you are trying to impress! Let’s dive right in with some jargon busters! Baste- when cooking meat in the oven, the process of the juices being spooned or brushed over during cooking. 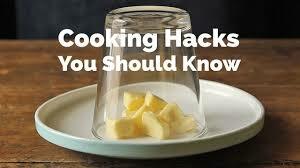 Beat- mixing vigorously with a fork, wooden spoon, whisk or mixer. Mixing the ingredients this way incorporates air and helps to mix and make lighter. Chop roughly – chop into small chunks, this is ideal for in soups/ stews. Finely – cut ingredients into small pieces usually 1/2cm wide, ideal if you want to fry up onions or mushrooms. Dice – chop ingredients into small and even cubes, ideal for fresh veggies in salads or salsa. There are different knives are for different things, i.e vegetable knives, chefs knives and santoku knives. Vegetable knives – the smaller knives ideal for delicate jobs like trimming vegetables and deseeding peppers/chillies. Chef’s knives – the large all purpose knife that can tackle all sorts of jobs like preparing meat and dicing firm veggies. Santoku knives – my personal favourite knife, a Japanese style knife ideal for slicing, dicing and chopping foods. Knives should be kept sharp as to avoid any unnecessary injuries, you are more likely to injure yourself with a blunt knife then a sharp one. You can pick up great knife sharpeners in any good kitchen store or online . Okay so, in years gone by the most common way for head chefs to test the new recruits was to have them make an omelette. Now granted, there are many ways to make omelettes and also infinite combinations for fillings, so we are going to going to stick to the basics and go with a ham, mushroom and cheese omelette. Grab two eggs, a few slices of ham, sliced onions, your favourite cheese and some salt and pepper. In a bowl, crack and whisk your eggs, whilst you are whisking get a pan on the heat with a little oil in (or butter or low cal spray, or nothing if you’ve got a snazzy non stick pan). Lash your whisked eggs into the pan and let cook on a low/ medium heat until they start to firm, sprinkle on your toppings and continue to cook. Once the top is firm, plate up and enjoy! There are infinite possibilities for your omelettes, my personal favourite is chicken, onions, mushrooms and a bit of cheese, seasoned with salt, pepper and paprika whilst cooking and served with a nice fresh and crunchy salad! It is the ideal dish for anytime of day and is both quick and satisfying!